The original 1970s kitchen was unappealing, but new owners loved the townhouse and its location. 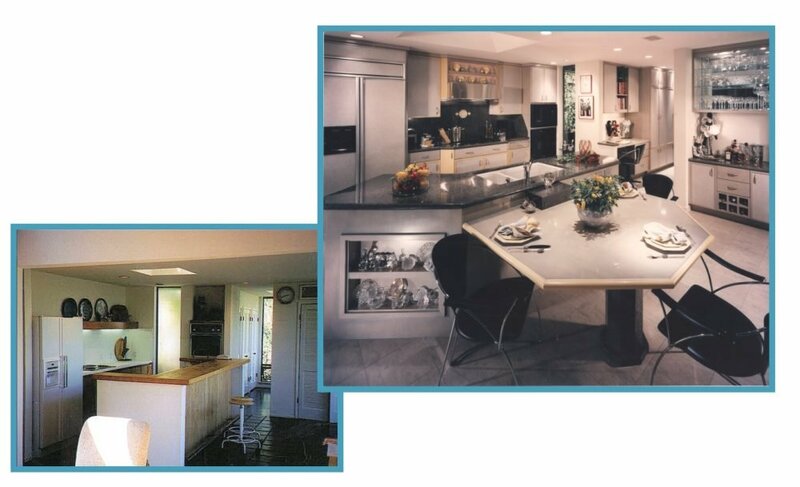 They wanted a contemporary European-looking kitchen that expressed their lifestyle and taste. Ten months after purchasing the townhouse, they moved into their contemporary European dream, with limestone floors and all of their favorite colors. The kitchen has custom maple cabinets and table that were stained yellow and gray. Functional storage and a “menu-message center” was added in adjacent laundry room. Artistic display niches were included for visual interest, and to give the homeowners space for self-expression at the hood and the back side of the island. The original 1970s kitchen was bland and boring; after remodeling, the kitchen fits the owners’ style preferences.